What do Simon Cowell, Jessica Biel, Blake Lively and Nicki Minaj all have in common? Apart from being worldwide celebrities they all have that perfect Hollywood smile. Gleaming white and perfectly straight teeth is something I think we all have a desire for and these celebrities have created an envy for them. Getting that Hollywood smile can be hard to do unless you have the millions of pounds lying around to pay for it. So what can we do? 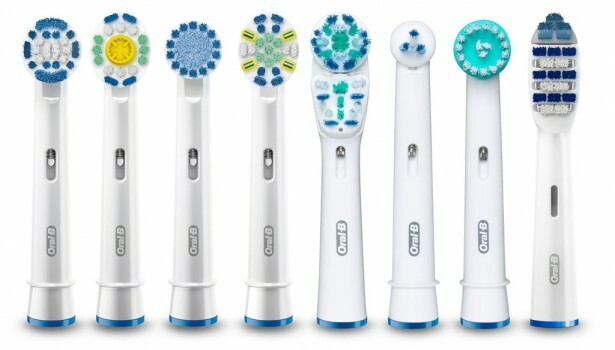 Well Oral B Technology is getting us one step closer to Hollywood with their new range of electric toothbrushes. 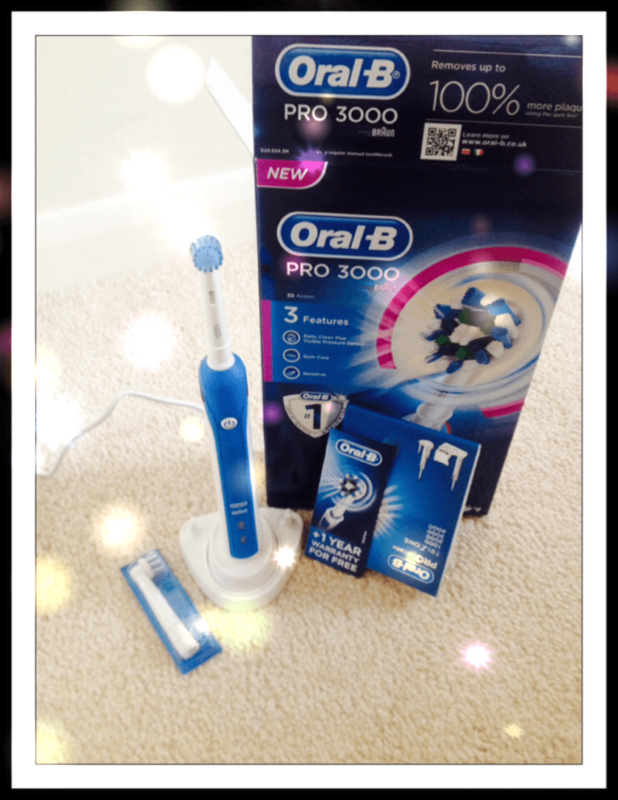 I recently tried the new Oral B PRO 3000 electric toothbrush. I have to confess that I am an electric toothbrush virgin so this was an exciting experience. I thought the toothbrush was going to be really heavy but it’s actually very lightweight and the clever little charging stand makes it easy to store in the bathroom. I was impressed that it came with two different Oral -B Brush heads so that you can experiment with them. I used the Sensitive Clean Brush head first as I felt this was a safe choice to go with for my first time. I left the brush to charge overnight but usually I think it takes 3 hours to charge up for the first time so when I woke up in the morning it was ready to use. When I first switched it on it was really quite powerful but I got used to the sensation in my mouth and carried on brushing. I was amazed that you could just use it like a normal toothbrush with the same brushing techniques; there is also a pressure sensor built in to tell you when you are brushing too hard. And there is also a sensitive mode where the power slows down a little to give a softer feeling of cleaning. After my first use I was hooked. It made my teeth feel like they had been properly cleaned as if I had been to a dentist and now I probably won’t ever go back to a manual brush! 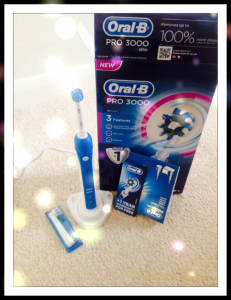 More product features and where to buy can be found here on the Oral B Website. Hello I’m Becky, a fashion, beauty and lifestyle blogger from Bedford. My blog features some of my bargain finds, lifestyle events and product reviews. 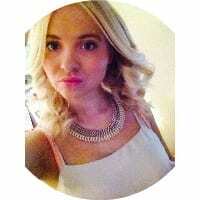 My blog is Pretty Little Mini and feel free to comment and follow. I am excited to say that I shall be posting for Trendlife Magazine on a regular basis and I hope you enjoy reading what I have to say. I hope you have enjoyed this product review and hope you enjoy reading my future posts.. More coming soon!